Many people move from the United States to New Zealand for job opportunities, to retire, to study or just to raise their children. New Zealand is a relatively small country – roughly the same size as the state of Colorado. Despite its size many people are attracted to New Zealand by the promise of an easier pace of life. 86% of New Zealand’s population live in urban areas, but the opportunities to get out in the great outdoors are significant. Its rural scenery is stunning, with its forests, mountains, lakes, rivers and fjords. Even when you are in one of the country’s biggest cities, you will be within 30 minutes of a beach, native park or mountain biking trail. And you’ll find yourself spoilt for space as New Zealand’s population density is just 15 people per square mile, compared to 84 people in the States. New Zealand and the US share a great deal culturally, so you should have relatively few difficulties adjusting. New Zealand doesn’t experience the same extremes of climate as the US. Its temperate climate means summers are generally warm, mild, and fairly wet. The north of the country is warmer than the south, but it’s rarely scorching hot or uncomfortably cold anywhere in New Zealand. In a 2016 survey by Mercer, New York was the 16th most expensive city in the world in which to live, while San Francisco and LA ranked 26th and 27th respectively. Contrast this with New Zealand, where Auckland ranks 98th and Wellington 123rd – a significant difference for sure. In the US, there is no legal requirement for companies to offer their staff any annual leave. In New Zealand however, all employers are required to give you 20 days annual leave, and there are also seven paid holiday days each year. Many companies in New Zealand give their employees more than 20 days of annual leave. HSBC’s 2015 Expat Explorer survey ranked New Zealand second in the world for work-life balance, while the US came 39th. If you have lived in New Zealand for five years with indefinite leave to remain, you can apply to become a citizen. Applying for citizenship by grant costs $337.80 for adults and $168.90 for children under 16. Renouncing your US citizenship, will cost $2,350. Once you become a citizen of New Zealand, you’ll find public health care is much cheaper than in the US. Accident and emergency treatment is free, but you will have to pay for appointments with family doctors, prescriptions and dental care for adults. New Zealand is not a major world economy like the US. However, it has escaped a lot of the damage from the 2008 financial crisis. There are great employment opportunities in ICT, healthcare, construction, science, finance and engineering, amongst others, as the country is still experiencing skills shortages. According to the Government website, in 2015 unemployment fell to 5.3% of the active adult population. Employment is forecast to rise at 2% per year for the next four years. Construction is the fastest growing employment sector. 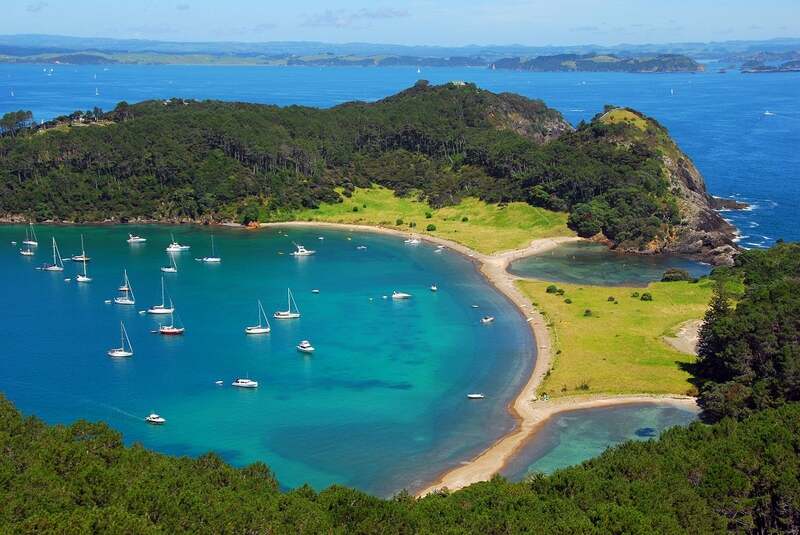 New Zealand has a number of areas where you can buy relatively cheap properties. Homes in Wellington and in the Canterbury region, including the large city of Christchurch, tend to be cheaper than the national average. However, prices in Auckland can be very expensive. The average price in Auckland is currently more than $700,000, compared to a national average of $440,000. This is well above the United States average price of $350,000. Even San Francisco and New York have significantly cheaper homes than Auckland. In this respect, New Zealand can again be more expensive than the US, where average rental prices have reached $1,100 per month nationwide. However, median rental prices in San Francisco and New York are now around $4,500 per month, considerably more than anywhere in New Zealand. The quality of education in New Zealand is very high. Around 75% of people have either upper secondary school qualifications or university/college degrees, well above the OECD average. It’s compulsory for children to start primary (elementary) school from age 6, although it is possible to enrol them at age 5. The public (state) school system is only free to citizens and permanent residents of New Zealand. If you are a newcomer on a temporary visa, you will need to apply for a separate student visa for your children, and you’ll need to pay fees towards their tuition, which could amount to around $7,000 per year. Private schooling is also funded by central government up to 25%. There are only eight universities in New Zealand, although there are also 18 polytechnics and further education colleges specialising in vocational tertiary education. The University of Auckland is consistently ranked as the best in the country, being the only university in the country to feature in the QS World University Rankings 2015/16 Top 100. Auckland is also ranked as the top New Zealand university for 35 out of 40 subjects. Overall it was classed as the 81st best in the world in the 2016/17 QS rankings. New Zealand is proud of its home-grown lamb and fish dishes and fine wines. The country doesn’t have many restaurants offering international cuisine, but it should be possible to find good Indian, Chinese, Thai and other Asian dining establishments in the larger cities. A cheap and cheerful dining option in New Zealand might be fish and chips for around $4, but a restaurant main meal might cost from $14 to $26. The country’s top restaurants are Auckland’s French Café, followed by Grove in second place according to TripAdvisor. Here a main course could set you back around $35. The best vegetarian restaurants include Authentic Vegetarian Restaurant in Auckland, Aro Café in Wellington and Dream Garden Vegetarian Café in Christchurch. Some of the best vegetarian dishes can be found in Indian and Far Eastern establishments according to Vegetarians New Zealand. Green Time in Auckland and Boquita in Wellington are amongst those highly rated for vegan dining. For the best choice of nightlife in New Zealand, head for the big cities. The city with the highest proportion of 20-34 year olds is Wellington, and the city with the highest proportion of students is Dunedin, so these really are places to party. If you’re seeking a more relaxed night out, try a smaller city such as Queenstown or Taupo. Most cities have one or two LGBT nightspots, but most of the country’s gay-friendly scene can be found in Auckland, home to New Zealand’s largest gay festival in the shape of Big Gay Out, held each February.